Add details of the condition, age, brand, collection distance and access of your hot tub, and add a couple of photos. Once you have submitted your details, we will review and then come back to you with a quotation to buy your hot tub. If you choose to sell to us, we will arrange a suitable collection date, and pay you cash on collection for your hot tub. Looking to sell your hot tub? Perhaps you have thought to yourself, I would like to sell my hot tub or is there a company that would buy my hot tub? Well, you have come to the right place, at Sell Your Hot Tub this is all we do. We will consider purchasing any used hot tub or second hand spas. It’s a very simple process! All you need to do is fill out our Sell Your Hot Tub Details Form. This is a nice and easy form that also lets you add photos of your pre owned hot tub, this is so we can offer you the best possible price. After you have completed the form we will provide you a price for your hot tub or spa. If you decide to sell with us then we will arrange a collection date and pay you cash upon collection. Simple! Cash for my hot tub! Collected by professionals. We pay ££££'s for your hot tub !!! The whole process from submitting the initial enquiry to you removing the tub was very easy for me as the seller and I much appreciated the friendly but thoroughly professional approach from the Sellyourhottub staff also you gave a pretty good price for the tub too!! Food for thought! 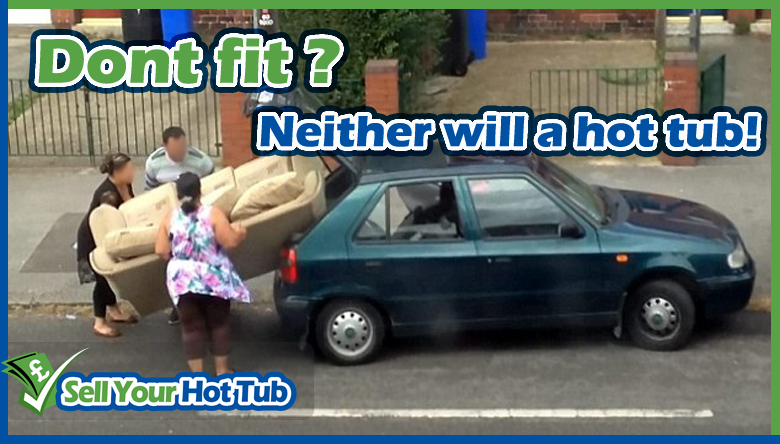 Time and time again we get the phone call “Hi I sold my hot tub on an auction site and the buyers turned up and did not realise how big the hot tub was, they do not have a vehicle bigger enough to collect so they have pulled out of the sale”. 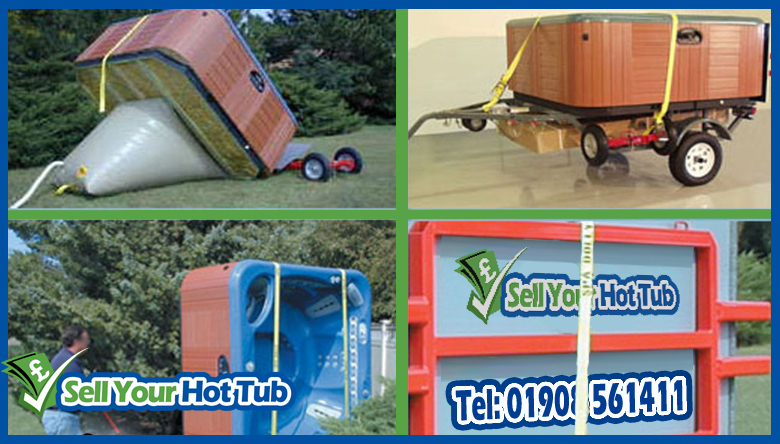 The long and short, at Sell Your Hot Tub, we have the correct equipment and trailers to collect any hot tub. The kit to do the job right! We use american made Spa Dolly systems, hot tubs are a massive business in america and Spa Dolly catered for the market with there uniquie hot tub collection systems. They are imported in to the UK, and provide us and many other hot tub companies with the right tools for the job. You can view the Spa dolly in use with two of our guys operating the Spa Dolly System as per the below video. That’s right! 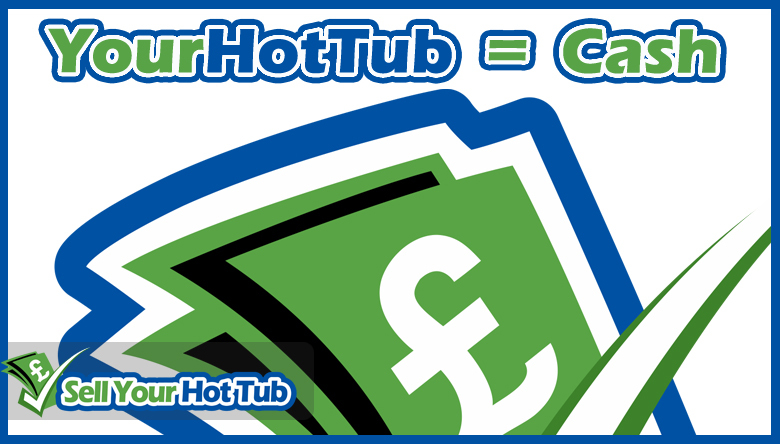 if you sell your hot tub to us we can put the cash straight in your hands on collection day. So if have inherited you hot tub with a house or you just need the garden space, then fill out our enquiry for today and we will be in touch with some cash for your hot tub. We can collect hot tubs from most locations through the UK, from North to South and East to West. 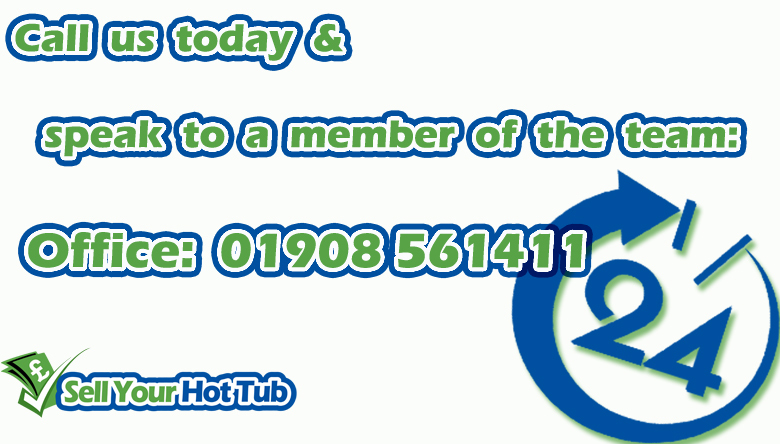 Use our nice and easy hot tub quotation form and add your post code, this way we can give you the best quote possible. If we receive your enquiry early enough, Sell Your Hot Tub can arrange removal as quick as 24hr from a quote to collection. Alternatively we are open 7 days a week, so we can caterer for a day and time that suits you best. We are fully insured for public and products liability. …in a nutshell, if you sell your hot tub to Jo Blogs, and he turns up with an army of mates to try and lift your hot tub without the correct hot tub removal kit, then they run the risk of an accident. If they were to drop your hot tub or break your hot tub when removing, they would generally have no form of insurance to cover you or your hot tub or themselves. We keep our insurance up to date on a yearly basis, so all of our customers have 100% reassurance that if any property damage or injury was caused we are fully covered. All our company insurance documents can be provided on day of removal if required. We collect from most locations throughout England, Scotland and Wales.